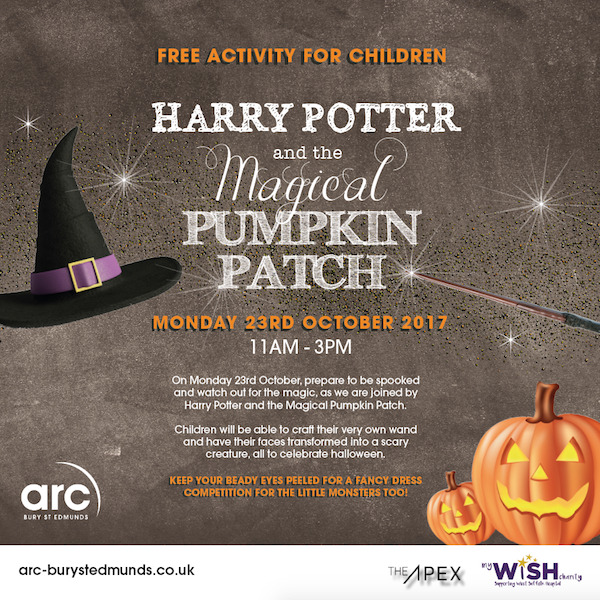 Following the success of the children’s activities this summer, arc shopping centre is preparing for a fun filled, Halloween inspired day for the kids, with an exciting visit from Harry Potter* and a magical Pumpkin Patch for children to craft their very own wand. 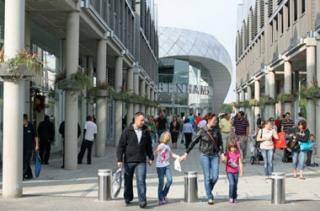 There will be a Halloween inspired event taking place on Monday 23rd October 2017, between 11am – 3pm, at arc shopping centre. It includes an opportunity for kids to design their own wand inside a giant inflatable pumpkin, perfect for Halloween. The children will also have the chance to meet Harry Potter* and wonder at his magic, as he performs magic tricks for everyone, whilst they wait to get their faces painted, for FREE! Finally, children must come in their best fancy dress and bring their scariest Halloween face, for a chance to WIN a £50 voucher for their favourite arc store. These events are FREE to take part, however the shopping centre is asking for a donations to My WiSH Charity, as their charity of the year. My WiSH’s goal is to make sure that your friends, family and neighbours enjoy the best treatment and the best possible service when they visit West Suffolk Hospital in Bury St Edmunds. There will also be a selection of children’s attractions in Charter Square during this event and during the half term holiday. There are small charges for these attractions.